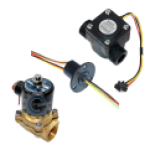 ESC means Electronic Speed Control. 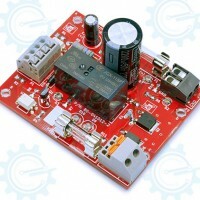 The ESC has a 5V (not used) GND and Pin signal like a servo. You control it like servo with write () or write Microseconds.Note: High power system for RC model can be very dangerous. We robustly suggest you read the manual carefully. Features : BEC P..
L298N IC as the main driver chip with a strong driving capability, lowheat, anti-interference ability.Specifications : Power Input 12VDC Logic Voltage 5V,0A-0.36A Master Chip L298N Operating Mode H-Bridge Drive (Dual) Drive Current 2A (Max) Single Bridge Maximum Po.. 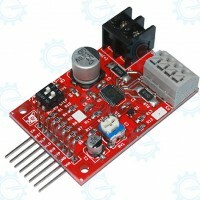 Built for large stepper motors with huge appetite for power, this micro-stepper motor driver can provide 6 Amps* drive and will work with up to 32VDC power source. Current drive is user adjustable. Other features includes user selectable full/half/quarter/sixteenth microstepping, opto-isolated.. The Beefy: H-Bridge Motor Driver is the latest variants in our high current DC motor driver series. 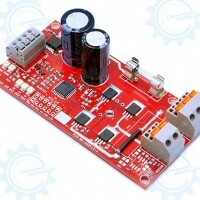 when used in intermittent low duty applications like mobile robots.Specifications : Motor Supply Voltage 7-35VDC Load Current > 20A surge, 6A Continuous Control Input Logic 5V Driver Chip ..
e-Gizmo 2 Channel Tiny Motor Driver is a simple motor driver board and small package based on A3906 Allegro's low voltage dual DC motor driver IC. 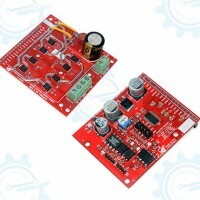 It is designed for PWM control of low voltage motors. Specifications : Power Input 5-7VDC Maximum Current 1.12A On-Board IC A3906 PCB Dimension 3..
A complete microstepping motor driver with built-in translator for easy operation. It is based on 3 different variants of A3983,A3984 and A4984 IC. 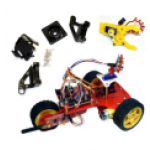 Designed to operate bipolar stepper motors in full-half, quarter and eight-step modes.e-Gizmo Microstep Driver is an ideal fit for applications where a ..
e-Gizmo P-BOT Junior Rev 1R0 version a type of mobile robot that is so affordable price. 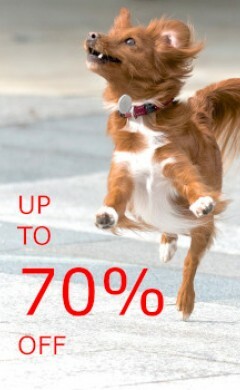 It was developed to be more lightweight and easy to use. It is adapted to the version of PBOT1r0&2r0. 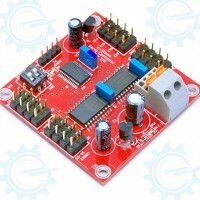 This board is an all in one Mobile Robot board wiith on board IC ATmega168 MCU (16kB flash memory) and A3.. 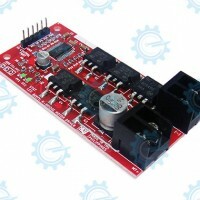 The new e-Gizmo 6A H-Bridge Motor Driver or the High Temperature H-Bridge Motor Driver is the all-new e-Gizmo high power motor control kit for DC motors. 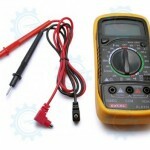 It has elaborate protection features that makes it largely tolerant to a number of common faults, such as reverse power supply wiring, and momenta.. 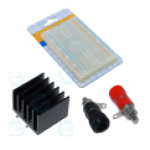 User selectable 1 to 16 microstep function significantly reduce motor vibrations for quiet and more reliable stepper motor operation. 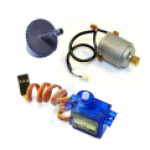 Automatic reduction of current drive during hold state keeps your stepper motor running cool. 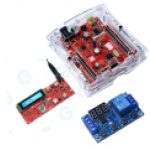 Compatible with both unipolar and bipolar stepper motors.Specifications ..
3.3V/5V, TTL-compatible, and UART combination of electromechanical relay and fault tolerant MOSFET switch makes this a durable drive for DC motors. 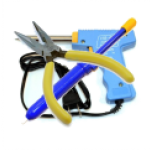 Fault tolerance is central to this device, hence all control inputs as opto-isolated, power and motor terminals are fitted with user serviceable fuse. .. 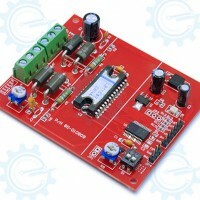 Independent control of up to 16 RC servo motor in a single board. 1uS pulse width resolution. 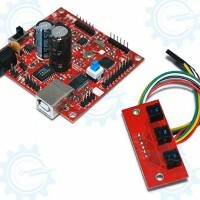 Serial TTL level UART I/O port interfaces easily with most microcontrollers, including gizDuino (Arduino Compatible Board). Easy to use command set. 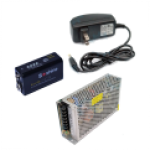 Additional Power Modules : (Optional) Servo Soft Sta..